VECO Solo Plus is a new All-In-One Vape Kit from Vaporesso, the device comes with a 4ml tank capacity and 3300mAh built in battery. 4 colors. VECO Solo Plus is a new All-In-One Vape Ki from Vaporesso, the device comes with a 4ml tank capacity and 3300mAh built in battery. It adopts innovative ECO Universal Coil that will deliver the most original flavor of your liquid. 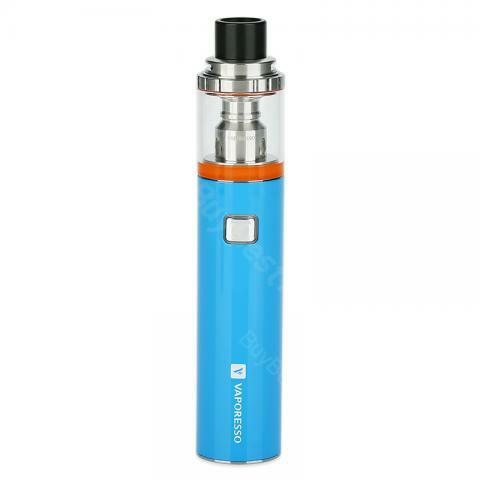 The VECO SOLO features top airflow and top filling, moreover, it adopts leak-free design, together with these unique and creative design, you will enjoy a super vaping experience. 4 colors for you to choose. 2. 3 months for VECO Plus Solo battery. Best pastime for me everyday is to take this small kit to enjoy my vape. It is really a good way for me to relax after a tiring day. Such a lovely kit. And I especially appreciate the big discount that the boss offered. Love my Veco Plus Solo, powerful battery and great clouds. This vaporesso kit is very cute. The price for this one really surprised me. Still it has great performance. I recieved well. Thank you for buying a good product cheaply. Great device, that produces massive amounts of cloud very quickly. The price is great and I love it! Mini kit, while the large capacity of battery impressed me .